Music has loomed large in Synia’s life since her childhood in Philadelphia. As young as four years old she was writing her own songs and by the age of 12 she was singing for a variety of audiences, while accompanying herself on folk guitar. Synia earned a full music scholarship to Chestnut Hill, nearby woman’s college, however she opted instead to attend Wesleyan University in Connecticut. where her music experienced expanded to include classical, latin and gospel music as well as work at local recording studios. Shortly after college, Synia moved to New York where her smooth, clear vocals were soon recognized, leading to session work with a number of performing and recording artists including Curtis Hairston, Cookie Watkins, and jazz harmonica player Will Galison It was vibraphonist Jay Hoggard who first encouraged Synia to step forward to pursue a career as a lead vocalist. Synia’s developed an affinity for “Soca Music” also known as the soul of calypso, and worked with groups lead by Bernard Liburd, Designer, and Lord Nelson. In 1984 Synia joined Mikata, an African/Caribbean Funk ensemble, where she became a lead singer and contributing song writer. The band performed regularly in many New York clubs including Sounds of Brazil (SOB), Irving Plaza, and the Pyramid Club. They also appeared at numerous colleges and festivals around the country and in Canada and Japan. After a nine year association with Mikata, Synia refocused her energy to raising her two children and to beginning a professional public school teaching career in Connecticut. While singing was placed on the back burner during this stage of Synia’s life, she still performed occasionally with local Pop and R&B groups. In 2008, while regularly sitting in with the Brian Butler Group in Connecticut, Synia grew to appreciate jazz standards and great artists like Billie Holiday, Ella Fitzgerald, Nancy Wilson, Nina Simone and Sarah Vaughn. Other influences included Cassandra Wilson, Lizz Wright, Dianne Reeves, Rene Marie, Phyllis Hyman and Angelique Kidjo. 2014 was a year of big change for Synia. She left teaching and relocated to Sarasota with the intention of connecting with the rich Sarasota arts scene. It soon became clear that Synia’s artistic expression was drawn to jazz. 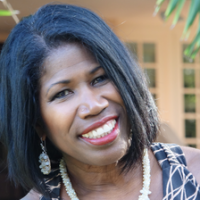 As Synia describes it, “Finding my voice in Jazz was like coming home.” She began by sitting in on jazz jams where she was soon noticed by local band leader Al Hixon. In March of 2015 Synia was invited to be a part of Hixon’s annual “Underheard Herd” concert sponsored by the Jazz Club of Sarasota. Later that spring she began her partnership with piano legend Billy Marcus, playing at a number of dinner clubs. By the fall she was invited by the Jazz Club to do her own concert and has subsequently headlined a half dozen Jazz Club events. In February of 2016 she was a guest vocalist with the James Varnado Jazz Band at the St. Petersburg Jazz Festival. and in May she was invited to be the featured vocalist in a concert with the 18 piece Helios Jazz Orchestra, directed by David Manson, at the Palladium Side Door in St. Petersburg. Synia’s ongoing collaboration with the Billy Marcus Trio, including Don Mopsick on bass and Stephen Bucholtz on drums, lead to the release this October of her first jazz album, “Here’s To You…” The thirteen selections included in the album reveals Synia’s eclectic musical taste and her unrelenting commitment to the message of the lyrics. All About Jazz musician pages are maintained by musicians, publicists and trusted members like you. Interested? 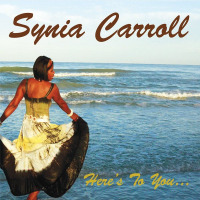 Tell us why you would like to improve the Synia Carroll musician page.